Well, which part of his music? I'm a hippopotamus / From my top to my bottomus, no doubt. Mods, can we ban this guy ? - HA LIH-HNL-KOA, due to a flat tire (really ). Went on standby for the next pair of flights and made Shabbos (two days of it) in the nick of time. - AS YEG-SEA-JFK, due to the clerk at the RV return insisting on 17 copies of everything and oblivious to the fact that I need to. leave. NOW. Ended up getting refunded by AS and booked AC YEG-YYZ-LGA instead. - SK OSL-TRD-BOO, due to not being as big a maniac as Dan. Got put on the direct OSL-TRD instead while Dan got to add TRD and a rare 737-600 to his lists. - AA LGA-XNA, due to missing the baggage cutoff by 2 minutes. Took the afternoon flight instead. 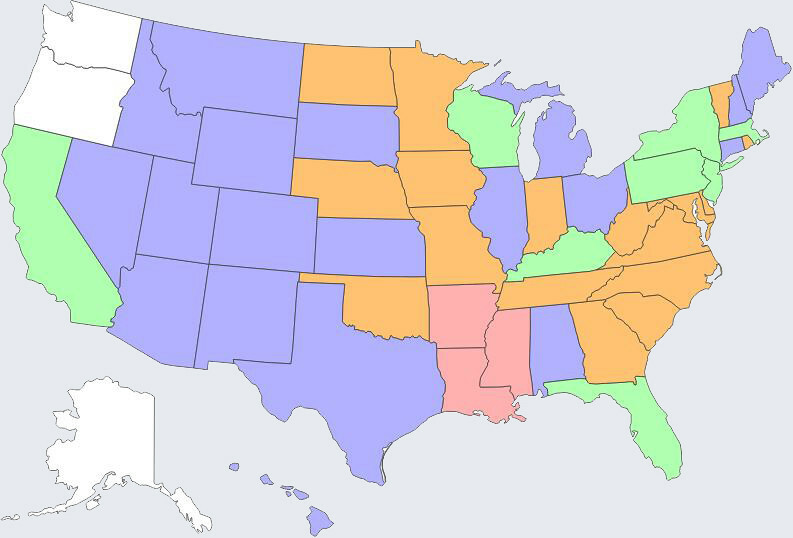 Re: Which States Have You Been To? It's all relative in Kentucky. I always knew he's a redneck, but I didn't think he was that authentic. At first I was annoyed that they leave out AK if it isn't colored, but now I'm starting to like it better this way. I don't need it sticking in my face "ha ha, you haven't been to Alaska yet"
Can someone please figure out a way to have Alaska in there even though it's not colored? Please! $100 price increase for a extra 3 minutes of flight time? Meh. Indeed. But it'll come down to the regular Mavic's price soon I believe. ALOL, it's ads for my workplace. I come here to get away from that . Pop one pop all!!! It's officially Friday! Over here it's יום שכלו פריידעי.